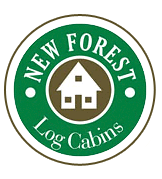 New Forest Log Cabins will help you design your perfect Log Home. The pricing for your log home will vary and depends largely on a number of factors such as the log size, how much glass, and how many windows and doors etc. It will also depens upon which type of construction you choose such as solid log or Log Panel Homes. We will guide you through the planning process and come up with a design that will suit your style and budget. 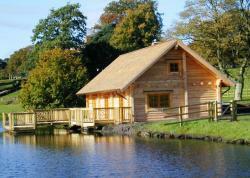 The cost of your log home will always include the supply of all materials to meet full UK Building Regulations. To this you will need to add the construction cost which normally equates to around 45% of the supply price. Our competitors will often quote just the "Supply Only" price. Please note that our guide prices include the "Supply and Build" This is very important when comparing our costings with other companies who only give you half the story. Please contact our SALES department for a complete design and build quotation. You will also need to allow for scaffolding, waste skip, hire of mechanical equipment such as a small crane and fork lift, electrics, plumbing, kitchen and bathrooms. Finally there is the external preservative and internal wall treatment that is supplied with the kit, but it still needs to be applied and we will quote you for this as an optional extra. Located in Dorset, New Forest Log Homes has developed our expertise in custom log home construction, becoming a pioneer and leader in the log home industry. We incorporate elegance with strength and a unique blend of the original Baltic charm with a contemporary European design into our distinguished log home and log chalet designs. With almost 300 log building and many years of experience as manufacturer of timber buildings, New Forest Log Homes have changed the way log homes are constructed. Using our New Forest Log Punch Design technique, we build our log homes with both rectangular and oval logs from one bedroom to family and even multiple lodgings in the same building complex. We specialise in custom log home construction that adds a graceful, powerful look and feel to log homes, log chalets, and lodges. With a Redwood Pine log home from New Forest Log Homes, you'll experience a custom-built dream home that sustains durability and pride of ownership throughout it's many years of life. If you would like us to help you make this dream a reality please contact us.